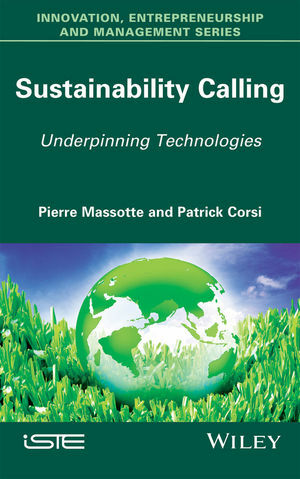 This book discusses the key concepts of the technologies that underpin the drive towards sustainability in today’s complex world. The authors propose an integrated view of the frontiers facing any organization nowadays – whether an enterprise, an administration or any human collective construction – that operates with a goal, a mission or an objective. While a unified approach still seems unachievable, the authors have nevertheless tackled the amalgamation of the underpinning elements (theories, domains of expertise and practice) and propose a model for assimilating the new concepts with a global view to design the sustainable organizations of the future. The book paves a way towards a general convergence theory, which will manifest, as a by-product, genuine sustainability. Furthermore, and due to the fact that the same main principles apply, the book redesigns the notion of “competitiveness”, which today is too often simply reduced to profitability. Pierre MASSOTTE, Pri. Docent, has long worked for IBM in Quality then Advanced Technologies, then as scientific director in EMEA Manufacturing, to improve European Manufacturing plants and Development Laboratories competitivity. Lately, he joined “Ecole des Mines d'Alès” as Deputy Director within the Nîmes EMA Laboratory. Dr. Ing. Patrick Corsi is an international consultant specialized in breakthrough design innovation. After an engineering and managerial career in industry with IBM Corp., IBM France.